Tampa, FL -- The elegant Henry B. 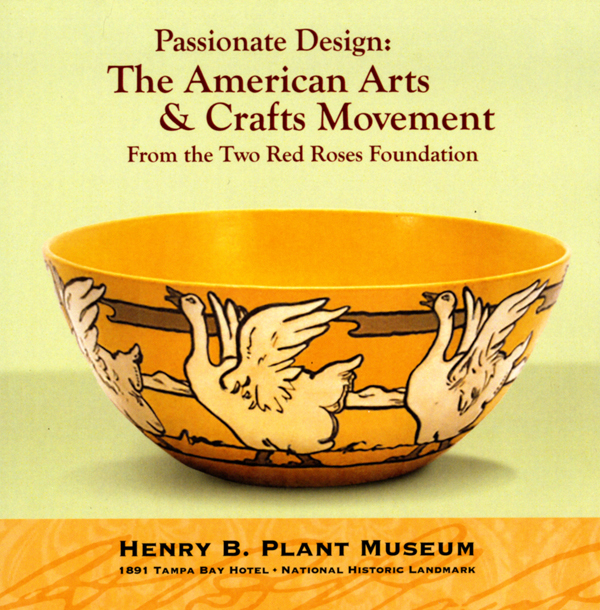 Plant Museum, built in the late 1880's, was originally the grand and luxurious Tampa Bay Hotel. Residing on the beautiful campus of the University of Tampa, the museum is adorned with majestic towering minarets, while the interior rooms boast detailed woodwork, artifacts gathered from around the world, and exhibit spaces that remain much unchanged from the glory days. Constructed during the Gilded Age, the building reflects the opulence and inspiration of the great civilizations of the past. 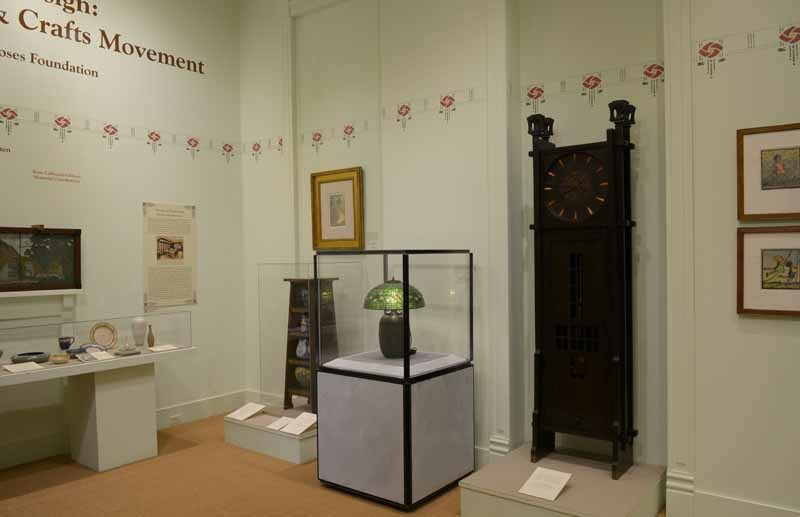 It is against this backdrop that an exhibition of objects from the American Arts and Crafts Movement will provide museum audiences with a stunning contrast in styles and philosophy. 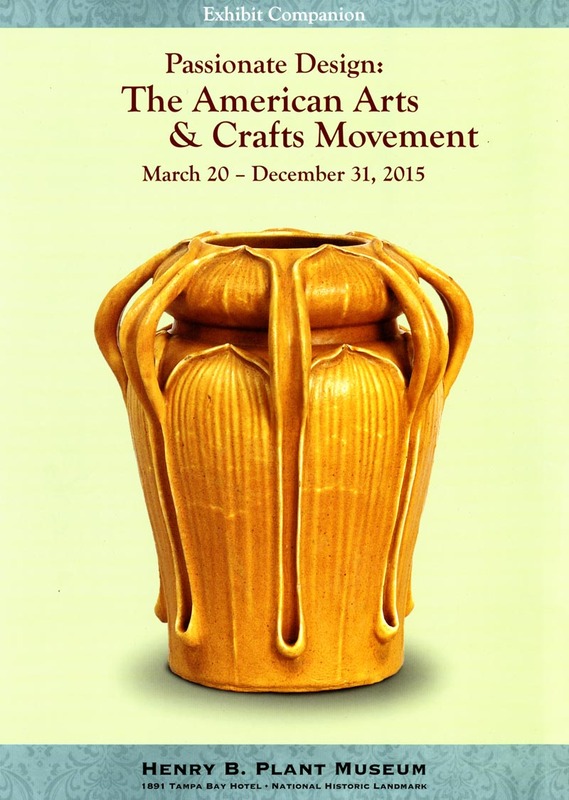 The Museum is hosting the exhibit Passionate Design: The American Arts & Crafts Movement, which runs through December 31, 2015. 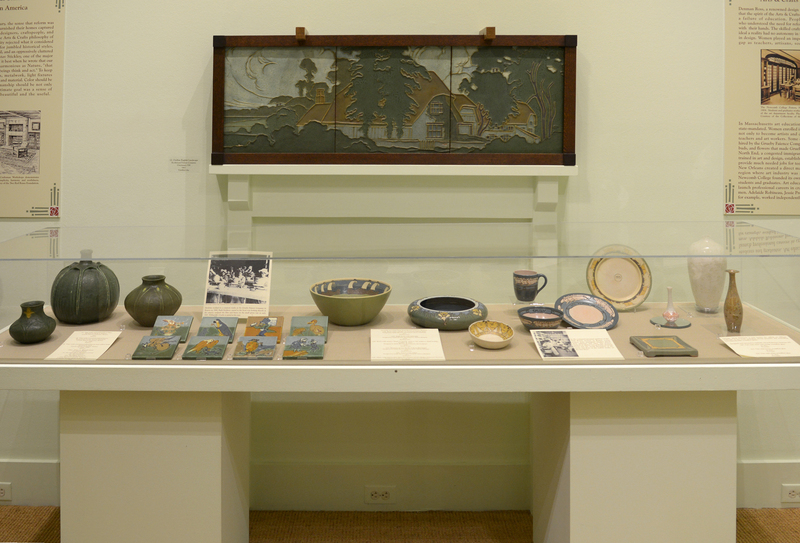 This exhibit brings together furniture, metalwork, block prints, pottery, and tiles made during the first two decades of the 20th century, a period of significant design reform throughout America. The artworks are lent by Rudy Ciccarello and his Two Red Roses Foundation in Palm Harbor, Florida, a pre-eminent collection of decorative and fine art from the Arts & Crafts era. 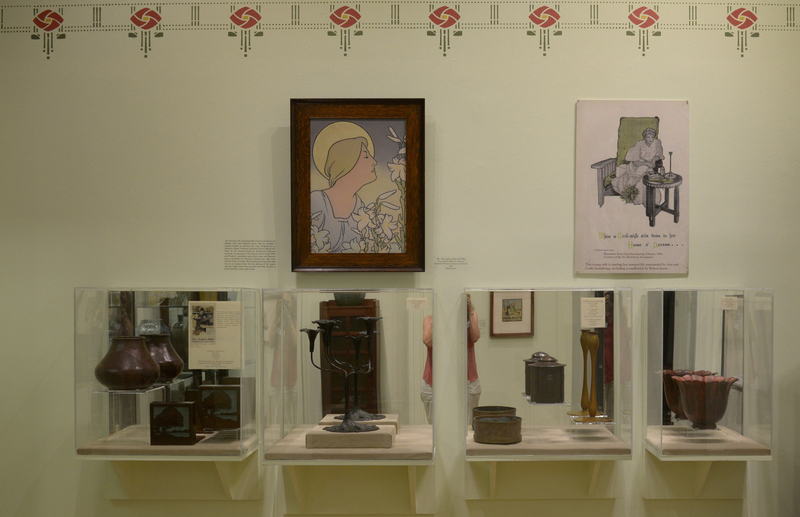 Objects on display include works by American icons such as Gustav Stickley's Craftsman Workshops, the Grueby Faience Company, Rookwood Pottery, Louis Comfort Tiffany, and other makers. These objects provide insight into an international impulse to sweep away the past and create a modern style for the new century. Inspired by nature, designers and artists rejected formality in favor of celebrating the curve of a leaf, the clarity of wood grain, the simple joy of children at play. Heavy embellishment and gilded surfaces were replaced with clean lines, non-precious materials, and organic form and color. Function and fine craftsmanship became integral to aesthetic choice. And above all, the restorative power of a simple home environment was emphasized over conspicuous consumption. The role of women during this reform era features prominently in the exhibition. 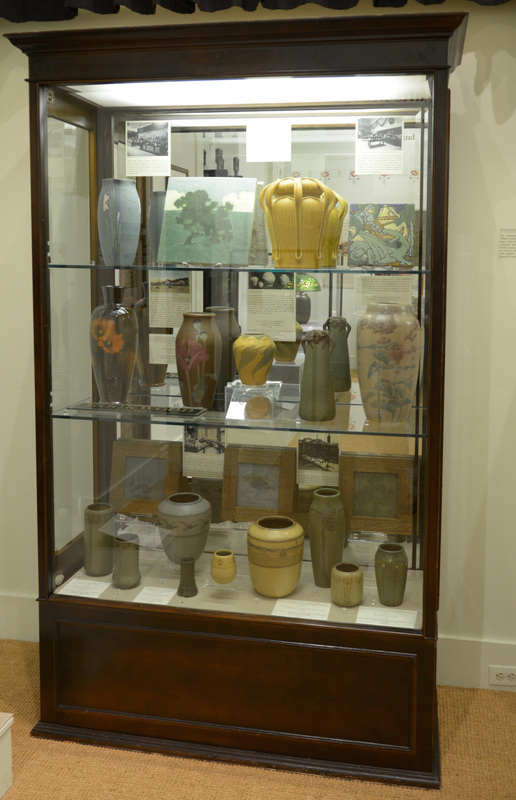 Individual women artists, including Adelaide Alsop Robineau of Syracuse, Marie Zimmerman in New York City, and Pasadena's Frances Gearhart, are represented as well as the predominantly female shops at the Newcomb College Pottery in New Orleans and Boston's Saturday Evening Girls demonstrating the growing opportunities of women at the turn of the century to practice their art and make an independent living. An increasing number of skilled women, trained in art schools, staffed America's potteries and print studios, and brought their personal perspectives on children, social work, and education reform to bear on their work. Both men and women sought a new satisfaction in handcraftsmanship as makers and consumers, as meaningful work and emotional well-being became inextricably linked, and as the so-called "decorative" arts gained a new prestige.